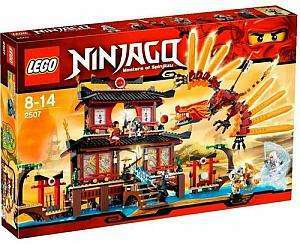 Lego Ninjago Fire Temple available online (plus postage) or for reserve and collect in store, which holds the lower price. Cheapest price I've seen anywhere. 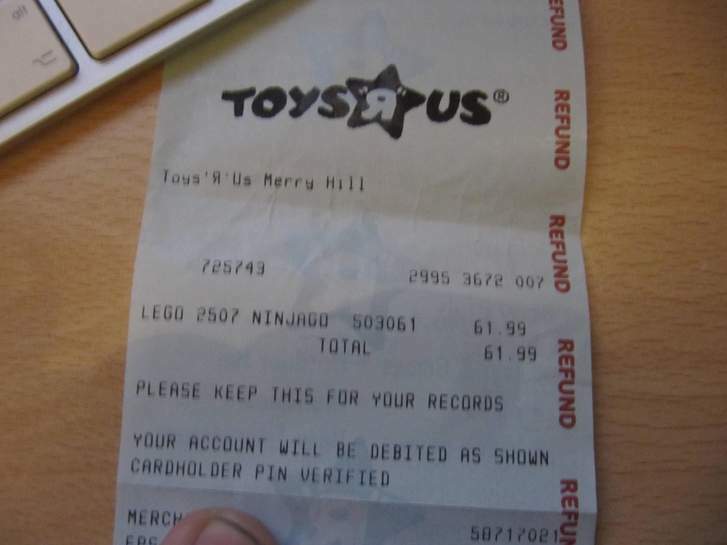 I bought a week ago or so, and got a free Skeleton Chopper Mini-Figure worth £4.99 (in-store only, spend over £15 on Lego Ninjago). Receipt as proof-of-purchase. Think they used 'refund' paper by mistake. Same price at John Lewis and Amazon if you don't have a local Toys r Us. There also doing (In Woking at least so assume nationwide) a free £20 gift card if spend over £75 on Lego. Cant use until after 27th Dec but still worthwhile.